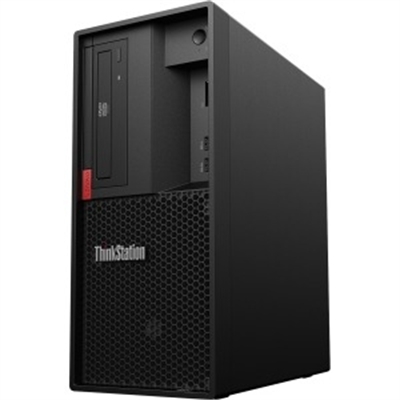 ThinkStation P330 Tiny Intel Core i7-8700T (2.40GHz 12MB) Windows 10 Pro 64 16.0GB 1x512GB SSD PCIe NVIDIA P620 (x) Intel9560ac+BT5 3 Year On-site This item cannot be shipped to APO/FPO addresses. Please accept our apologies. HP Smart Buy Z4G4T XW2133 16GB/2TB PC Intel XW2133 2TB 7200 RPM SATA DVD RW SM 16GB DDR4 NVD Qdro M4000 8GB W10 P64 WKST Plus 3-3-3 Wty. - English localization This item cannot be shipped to APO/FPO addresses. Please accept our apologies. 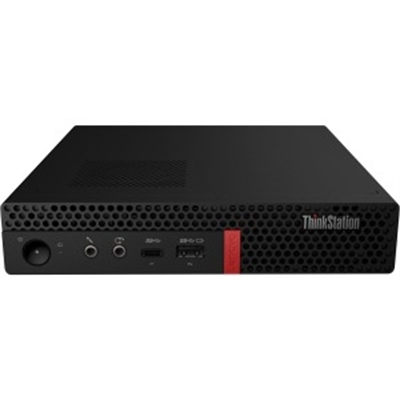 ThinkStation P330 Tiny Intel i5-8500 (2.10GHz 9MB) Windows 10 Pro 64 16.0GB 1x256GB SSD PCIe NVIDIA P620 (x) Intel9560ac+BT5 3 Year On-site This item cannot be shipped to APO/FPO addresses. Please accept our apologies. 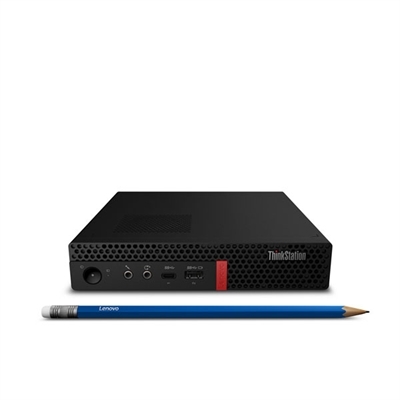 ThinkStation P330 Tiny Intel Core i7-8700T (2.40GHz 12MB) Windows 10 Pro 64 16.0GB 1x256GB SSD PCIe NVIDIA P620 (x) Intel9560ac+BT5 3 Year On-site This item cannot be shipped to APO/FPO addresses. Please accept our apologies. Precision 3430 Small Form Factor CORE_I5_8-8500 8GB (1DIMMS) 256GB X_SATASS INTEL HD NA RW NO W10 Intel Core i5-8500 6 Core 9MB Cache 3.0GHz 4.1Ghz Turbo w/ HD Graphics 630 2.5" 256GB SATA Class 20 Solid State Drive 8GB 1x8GB DDR4 2666MHz UDIMM Non-ECC. Windows 10 Pro 64bit English French Spanish. Intel Integrated Graphics. Black Dell KB216 Wired Keyboard. Intel vPro Technology Enabled. Microsoft Office 30 Day Trial. This item cannot be shipped to APO/FPO addresses. Please accept our apologies. Precision 3630 Tower CORE_I5_8-8500 8GB (1DIMMS) 1TB 7.2K INTEL HD NA RW NO W10 Intel Core i5-8500 6 Core 9MB Cache 3.0GHz 4.1Ghz Turbo w/UHD Graphics 630 2.5" 1TB 7200RPM SATA Hard Disk Drive 8GB 1x8GB DDR4 2666MHz UDIMM Non-ECC. Windows 10 Pro 64bit English French Spanish. Intel Integrated Graphics. Black Dell KB216 Wired Keyboard. Intel vPro Technology Enabled. Microsoft Office 30 Day Trial. This item cannot be shipped to APO/FPO addresses. Please accept our apologies. HP Smart Buy Z4G4T XW2123 8GB/1 PC Intel XW2123 1TB 7200RPM DVD RW SM 8GB DDR4 NVD Qdro P2000 W10 Pro64 3-3-3 Wty- English localization This item cannot be shipped to APO/FPO addresses. Please accept our apologies. 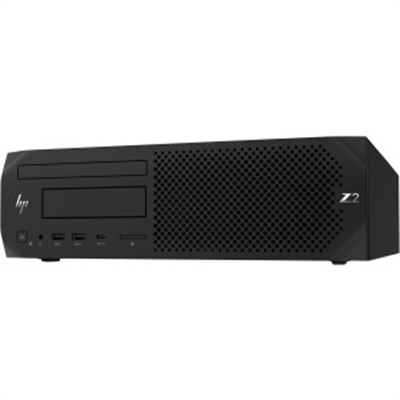 HP Smart Buy Z2G4S i78700K 8GB/1TB PC Intel i7-8700K 1 TB 7200 rpm SATA DVD+/-RW 8GB DDR4 W10 Pro 64bit 3-3-3 Wty U.S. - English localization This item cannot be shipped to APO/FPO addresses. Please accept our apologies. HP Smart Buy Z4G4T XW2123 8GB/256 PC Intel XW2123 256GB mSATA-3 SSD DVD RW SM 8GB DDR4 W10 Pro64 3-3-3 Wty" - English localization This item cannot be shipped to APO/FPO addresses. Please accept our apologies. HP Smart Buy Z4G4T XW2102 8GB/1 PC Intel XW2102 1TB 7200RPM DVD RW SM 8GB DDR4 W10 Pro64 3-3-3 Wty"- English localization This item cannot be shipped to APO/FPO addresses. Please accept our apologies. 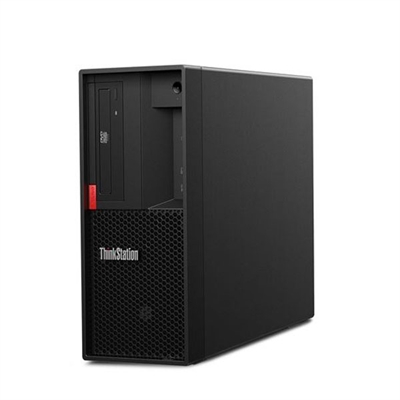 ThinkStation P330 Intel i7-8700 (3.20GHz 12MB) Windows 10 Pro 64 16.0GB 1x512GB SSD PCIe NVIDIA P1000 (x) 3 Year On-site This item cannot be shipped to APO/FPO addresses. Please accept our apologies. 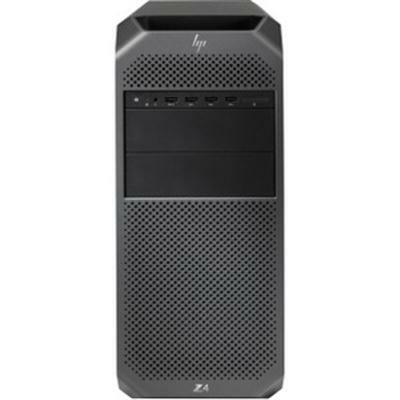 HP Smartbuy Z6G4T X4108 8GB/1 PC Intel X4108 1TB 7200RPM DVD RW SM 8GB DDR4 W10 P64 WKST Plus 3-3-3 Wty U.S. - English localization This item cannot be shipped to APO/FPO addresses. Please accept our apologies. HP Smartbuy Z6G4T X4108 32GB/256 PC Intel X4108 256GB SSD DVD RW SM 32GB DDR4 W10 P64 WKST Plus 3-3-3 Wty This item cannot be shipped to APO/FPO addresses. Please accept our apologies. 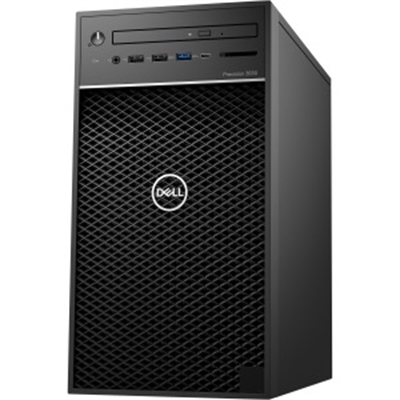 Precision 3630 Tower CORE_I7_8-8700 16GB (2DIMMS) 256GB SS INTEL HD NA RW NO W10 Intel Core i7-8700 6 Core 12MB Cache 3.20GHz 4.6Ghz Turbo w/ UHD Graphics 630 M.2 256GB PCIe NVMe Class 40 Solid State Drive 16GB 2x8GB DDR4 2666MHz UDIMM Non-ECC. Windows 10 Pro 64bit English French Spanish. Intel Integrated Graphics. Black Dell KB216 Wired Keyboard. Intel vPro Technology Enabled. Microsoft Office 30 Day Trial. This item cannot be shipped to APO/FPO addresses. Please accept our apologies. HP Smart Buy Z4G4T XW2125 8GB/256 PC Intel XW2125 256GB mSATA-3 SSD DVD RW SM 8GB DDR4 W10 Pro64 3-3-3 Wty"- English localization This item cannot be shipped to APO/FPO addresses. Please accept our apologies. HP Smart Buy Z4G4T XW2123 8GB/1 PC Intel XW2123 1TB 7200RPM DVD RW SM 8GB DDR4 W10 Pro64 3-3-3 Wty U.S. - English localization This item cannot be shipped to APO/FPO addresses. Please accept our apologies. ThinkStation P330 Intel i7-8700K (3.70GHz 12MB) Windows 10 Pro 64 16.0GB 1x512GB SSD PCIe Slim DVD RAMBO (x) 3 Year On-site This item cannot be shipped to APO/FPO addresses. Please accept our apologies. HP Smartbuy Z6G4T X4112 8GB/1 PC Intel X4112 1TB 7200RPM DVD RW SM 8GB DDR4 W10 Pro64 3-3-3 Wty" U.S. - English localization This item cannot be shipped to APO/FPO addresses. Please accept our apologies. HP Smart Buy Z4G4T XW2102 8GB/1 PC Intel XW2102 1TB 7200RPM 8GB DDR4 W10 Pro64 3-3-3 Wty. - English localization This item cannot be shipped to APO/FPO addresses. Please accept our apologies. Precision 3430 Small Form Factor CORE_I5_8-8500 8GB (1DIMMS) 1TB 5.4K INTEL HD NA RW NO W10 Intel Core i5-8500 6 Core 9MB Cache 3.0GHz 4.1Ghz Turbo w/ HD Graphics 630 2.5" 1TB 5400rpm SATA Solid State Hybrid Drive w/ 8GB Flash 8GB 1x8GB DDR4 2666MHz UDIMM Non-ECC. Windows 10 Pro 64bit English French Spanish. Intel Integrated Graphics. Black Dell KB216 Wired Keyboard. Intel vPro Technology Enabled. Microsoft Office 30 Day Trial. This item cannot be shipped to APO/FPO addresses. Please accept our apologies. ThinkStation P330 Intel i7-8700 (3.20GHz 12MB) Windows 10 Pro 64 8.0GB 1x1TB SATA Slim DVD RAMBO (x) 3 Year On-site This item cannot be shipped to APO/FPO addresses. Please accept our apologies. ThinkStation P330 Intel i5-8500 (3.00GHz 9MB) Windows 10 Pro 64 8.0GB 1x1TB SATA Slim DVD RAMBO (x) 3 Year On-site This item cannot be shipped to APO/FPO addresses. Please accept our apologies. 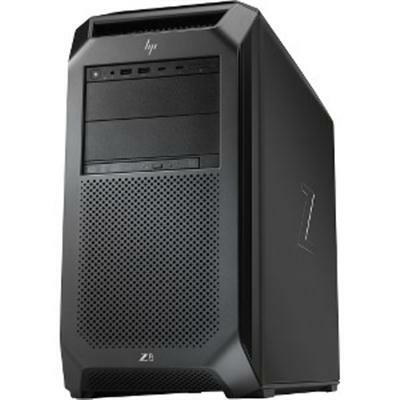 HP SmartBuy Z2G4M i38100 8GB/500 PC Intel i3-8100 500GB HDD 8GB DDR4 Intel HD Graphics 630 W10 Pro 64bit 3-3-3 Wty AC+BT U.S. - English localization This item cannot be shipped to APO/FPO addresses. Please accept our apologies. 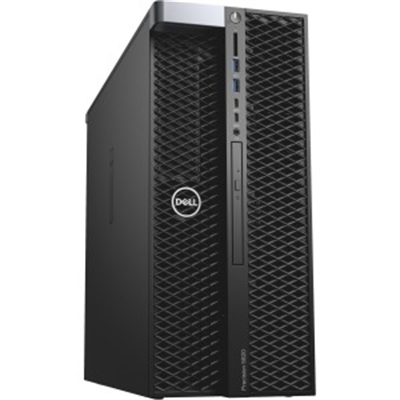 Dell Precision Tower 5820. Intel Xeon W-2123 3.6GHz 3.9GHz Turbo 4C 8.25M Cache HT (120W) DDR4-2666. 16GB 2x8GB DDR4 2666MHz UDIMM NonECC. 2.5" 512GB SATA Class 20 SSD + 3.5" 1TB 7200rpm SATA HDD (Additional). Windows 10 Pro for Workstation (up to 4 Cores) Multi - English French Spanish. NVIDIA Quadro P4000 8GB 4 DP. No Wireless LAN. 16x Half Height DVD-/+RW. Dell KB216 Wired Keyboard English Black. Dell MS116 Wired Mouse Black. No Monitor. This item cannot be shipped to APO/FPO addresses. Please accept our apologies. 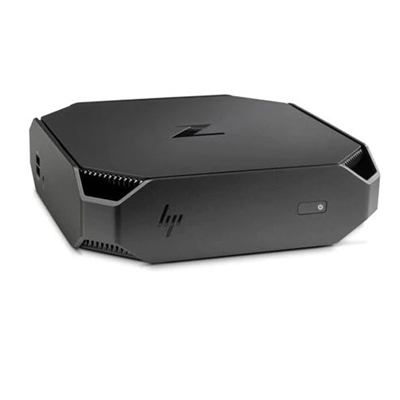 HP SmartBuy Z240S ZH3.9 8GB/1TB PC Intel i3-7100 1TB 7200 RPM SATA DVD Writer 8GB DDR4 Intel HD Graphics 630 W10 Pro64 3-3-3 Wty U.S. - English localization This item cannot be shipped to APO/FPO addresses. Please accept our apologies. HP Smartbuy Z8G4T X4116 16GB/512 PC Intel X4116 512GB SATA SED SSD DVD RW SM 16GB DDR4 NVD Qdro P4000 W10 P64 WKST Plus 3-3-3 Wty" U.S. - English localization This item cannot be shipped to APO/FPO addresses. Please accept our apologies. 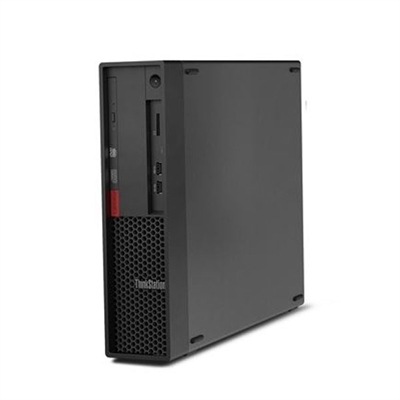 ThinkStation P330 Intel E-2134 (3.50GHz 8MB) Windows 10 Pro 64 for Workstation 16.0GB 1x512GB SSD PCIe NVIDIA P2000 Slim DVD RAMBO (x) 3 Year On-site This item cannot be shipped to APO/FPO addresses. Please accept our apologies. 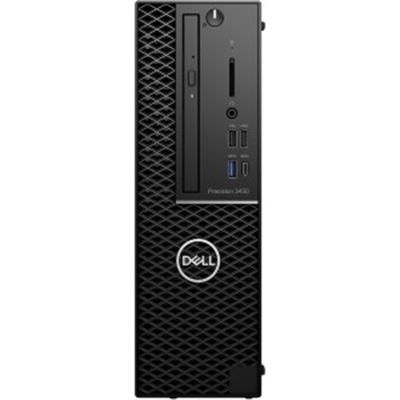 Dell Precision 3430SFF. Intel Core i7-8700 6 Core 12MB Cache 3.20GHz 4.6Ghz Turbo w/ HD Graphics 630. 16GB 2x8GB DDR4 2666MHz UDIMM NonECC. 2.5 inch 1TB 7200rpm SATA Hard Disk Drive + 2.5 inch 256GB Class 20 SATA Solid State Drive (Additional). Windows 10 Pro 64bit English French Spanish. Radeon Pro WX 2100 2GB DP 2 Mdp. No Wireless LAN. 8x DVD+/-RW 9.5mm Optical Disk Drive. Dell KB216 Wired Keyboard English Black. Dell MS116 Wired Mouse Black. No Monitor. This item cannot be shipped to APO/FPO addresses. Please accept our apologies. HP Smart Buy Z4G4T XW2125 16GB/1 PC Intel XW2125 1TB 7200RPM DVD RW SM 16GB DDR4 NVD Qdro M4000 8GB W10 Pro64 3-3-3 Wty- English localization This item cannot be shipped to APO/FPO addresses. Please accept our apologies. HP Smart Buy Z4G4T XW2123 16GB/512 PC Intel XW2123 512GB SATA SED SSD DVD RW SM 16GB DDR4 NVD Qdro P2000 W10 Pro64 3-3-3 Wty U.S. - English localization This item cannot be shipped to APO/FPO addresses. Please accept our apologies. 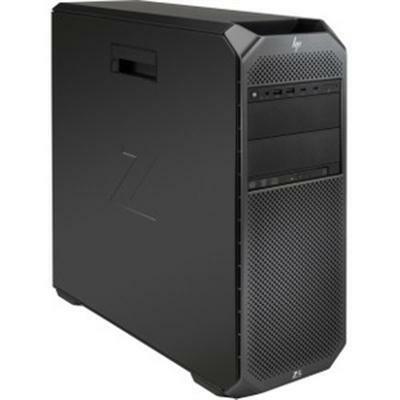 HP SmartBuy Z2G4M i78700K 16GB/512 PC Intel i7-8700K 512GB SSD 16GB DDR4 NVD Qdro P600 W10 Pro 64bit 3-3-3 Wty AC+BT This item cannot be shipped to APO/FPO addresses. Please accept our apologies. 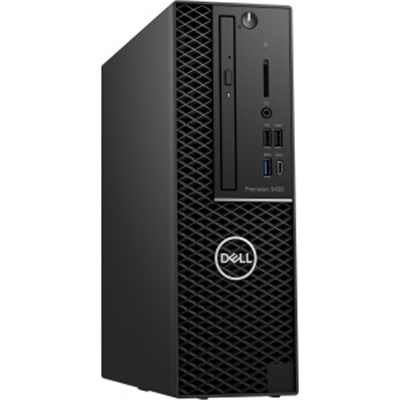 Dell Precision 3630 Tower CORE_I7_8-8700K 16GB (2DIMMS) 512GB SS AMD RAD_PRO WX3100 RW NO W10; Intel Core i7-8700K 6 Core 12MB Cache 3.7GHz 4.7Ghz Turbo w/ UHD Graphics 630; M.2 512GB PCIe NVMe Class 40 Solid State Drive; 16GB 2x8GB DDR4 2666MHz UDIMM Non-ECC; Windows 10 Pro 64bit English French Spanish; Radeon Pro WX 3100 4GB DP 2 mDP to DP adapter; Intel vPro Technology Enabled. Microsoft Office 30 Day Trial. This item cannot be shipped to APO/FPO addresses. Please accept our apologies.